Jackson Hole, Wyoming is a premiere destination valley resort town south of Grand Teton National Park attracting millions of visitors each year for world renowned skiing and other outdoor activities. Enjoy half & full-day guided bike tour throughout local forest trails and roads. Easy riding for all ages (full suspension), plus exceptional multi-day package options. 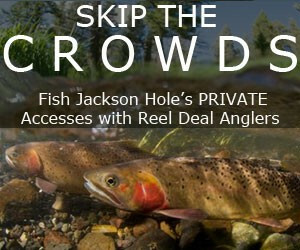 Jackson, WY, hosts millions of visitors yearly who enjoy nearby National Parks and renowned ski resorts. Top attractions include the National Elk Refuge, the National Museum of Wildlife Art, and the Grand Teton Music Festival. Don't miss out on skiing and snowboarding at three local resorts, including the world renowned Jackson Hole Mountain Resort, or summer activities like fishing, white water rafting, hiking, biking, and horseback riding. As one of the most popular US resort towns situated near two major National Parks and renowned ski resorts, Jackson, WY is host to millions of visitors and outdoor enthusiasts each year. It often serves as a popular basecamp for visiting Grand Teton National Park as it is the closest town, offering tons of choices in lodging, dining, shopping, amenities, and outfitters. Situated in Wyoming’s Jackson Hole Valley, Jackson is a popular getaway. Just 6 hours from Salt Lake, UT and 5 hours from Bozeman, MT, Jackson is also easily accessible with its own airport. From basic to upscale, Jackson has something for everyone, offering an incredible range of convenient services, dining, accommodations, and outdoor sport and entertainment activities, wedding planning, spas, gas stations, banks, real estate offices, schools, and outdoor guides, equipment purchase, and rentals for anyone enjoying the picturesque Jackson Hole year-round. 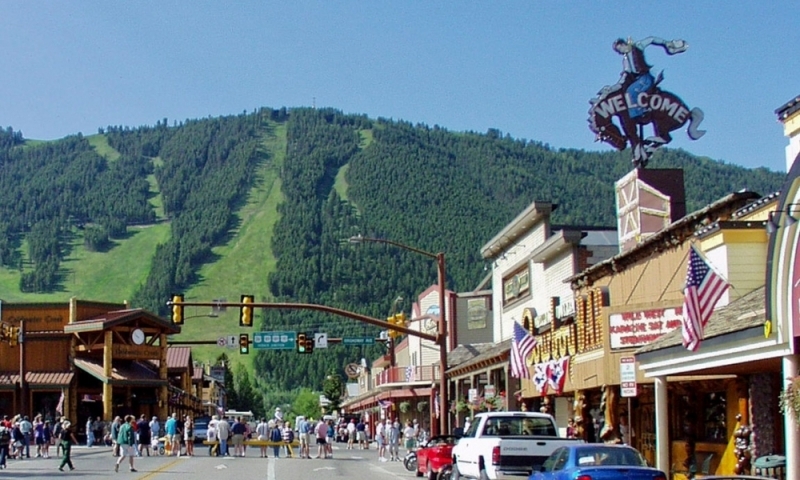 The START Bus offers free transportation within town, and service to Teton Village, Star Valley, and Teton Valley for a fee. Jackson’s Town Square offers unique and upscale modern and western shopping opportunities and visitors can marvel at the Square’s elk antler arches, always a popular photo opportunity. Get set up in town to enjoy any number of indoor and outdoor activities including galleries, theater, art and yoga classes, snowmobiling, skiing, snowboarding, snowshoeing, mountain biking and cycling, hiking, fly fishing, rafting, concerts, dog sledding, and art festivals. Local ski areas include the “Town Hill,” otherwise known as Snow King Resort, Jackson Hole Mountain Resort (only 12 miles outside of town at Teton Village) and the nearby Grand Targhee Resort, about an hour away. The most popular attractions in Jackson are the National Elk Refuge where you can enjoy winter sleigh rides through herds of elk, the National Museum of Wildlife Art just north of town, the Grand Teton Music Festival in Teton Village, Jackson Town Square offering dining and shopping opportunities a many, and a summer weekly rodeo. Jackson is located south of Grand Teton National park. Visitors can fly directly into Jackson Hole Airport. From Idaho, drive through Teton Valley and up over Teton Pass along WY-22. From Bozeman, drivers take US -191 south through West Yellowstone or Yellowstone National Park. Alltrans offers a shuttle service between Jackson and Grand Teton National Park. See Schedule and Details Here. If you are heading to Utah, visit historic Park City.